Oh, Glen! If you ask anyone how they feel about Glen, this is how they will start their thought; 10/10 times! He is a young Dalmation, about 2 years old, and was born without the ability to hear. Glen is just so incredibly full of love. His Foster Mom describes him as “Mr. Popular,” he just wants to make friends with everyone he passes in the street! He will need some basic training; learning not to pull when on leash (he is a bigger pup), sit, stay etc. He knows he’s cute, and he’ll use that to get all the cuddles and scratches he wants! Another plus, is that the noise and chaos of the city does not bug him at all. He will need someone to work 1:1 with him on hand signals and training. Glen does not beg at the table and has no trouble heading into his crate – though he does whine a bit, he is quick to calm and settle in. He is a bigger dog (about 45lbs), so he would do best in a home with no small dogs or young children, as he just wants to play and show affection, and not everyone may be willing to reciprocate! 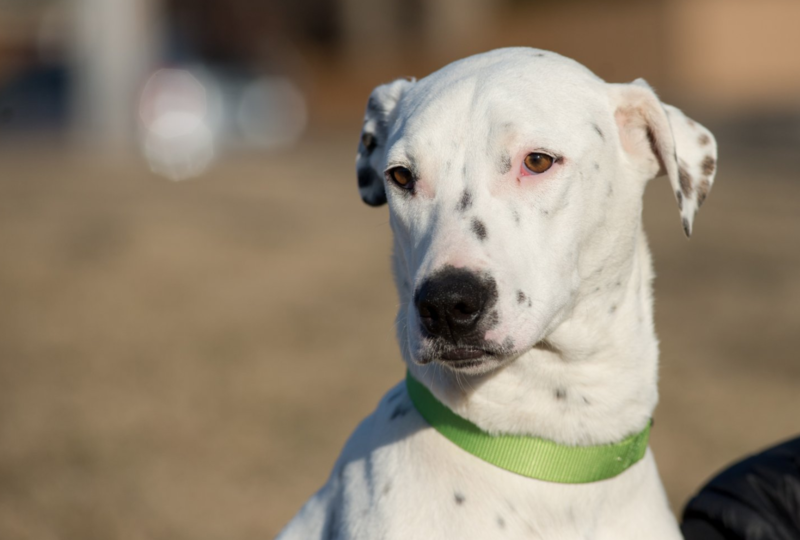 If you are looking for a cuddly, freckle-covered, big lap-dog; Glen’s your guy! Apply to adopt Glen today!